I can't quite remember just how many years I have been planning on replacing my prototype microphone mast/stand, yesterday I finally made myself a shiny new one! I engineered my latest home brew microphone stand to house my HEiL GM-5 studio mic at the perfect height for my operations. The early design was made from 6mm round bar making it heavy so this time I opted for some 3mm TIG welding wire making the new mast very light. I cut my wire to the required lengths during the assembly, which I carried out with the TIG Tungsten Inert Gas welding process. Once completed, I gave it a coat of aluminum aerosol paint and left it to dry overnight. This afternoon my daughter/apprentice and I began to assemble the microphone head mount and PTT switch to the new mast which also involved getting the soldering iron out (-: more fun :-). We checked the soldered joints with the multimeter which was the best thing ever for my new tech especially when I found an old electrical switch to hook up to the meter for her to play around with. 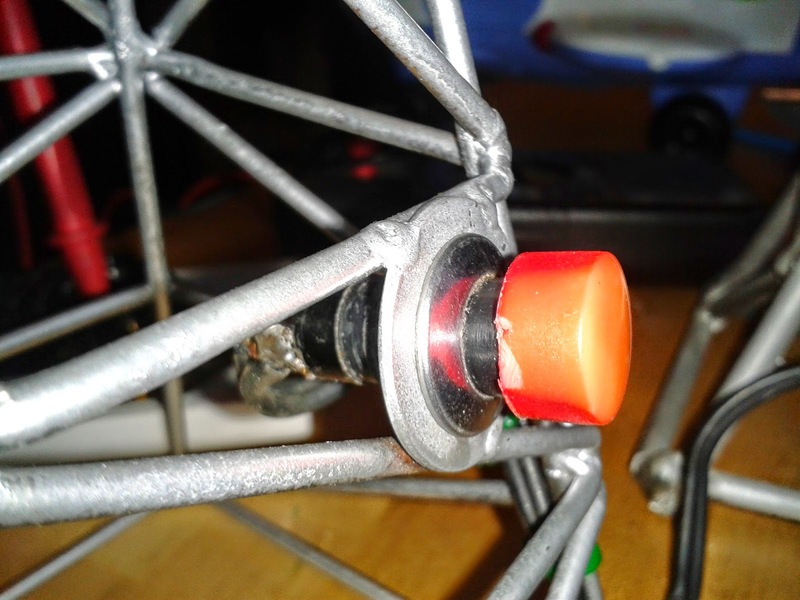 Whilst designing the latest microphone mast I included a fixing point for a push button PTT switch to be mounted. It worked out well allowing the switch to fit neatly on the side of the mast nicely secured with fused welded TIG joints seen below. 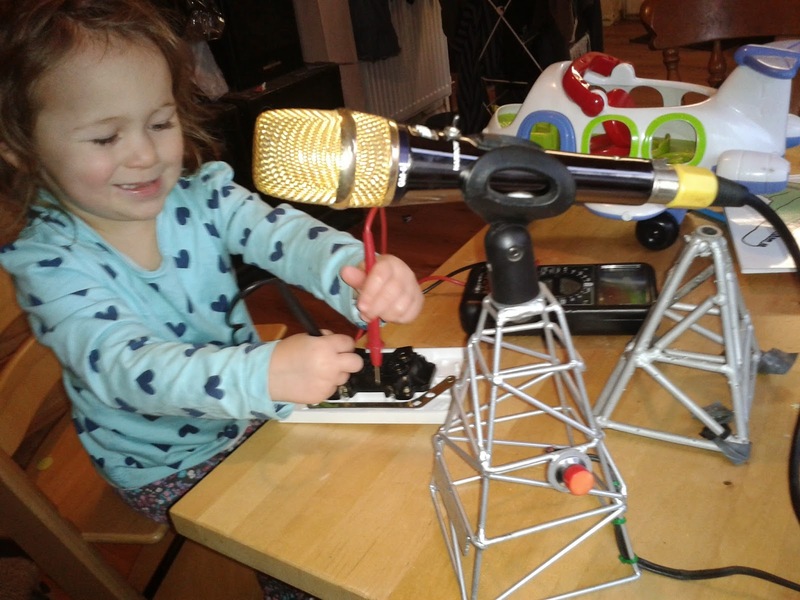 After a final inspection by my up and coming Ham Girl not forgetting the vigorous azimuth rotation and elevation checks to the microphone mount. I received the go ahead to hook up the new homebrew microphone mast to my trusty Yaesu FT-1000MP MK-V.
All thats left to do now is have some fun making some QSO's on the bands with my new mast in my hand or at my side. 73 enjoy your weekend. All the best 73. Simon and company.